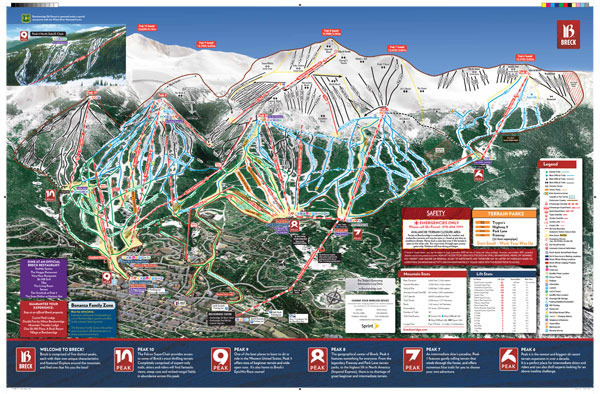 Breckenridge Ski Resort is home to world-class skiing and riding, the highest chairlift in North America and an authentic mining town. 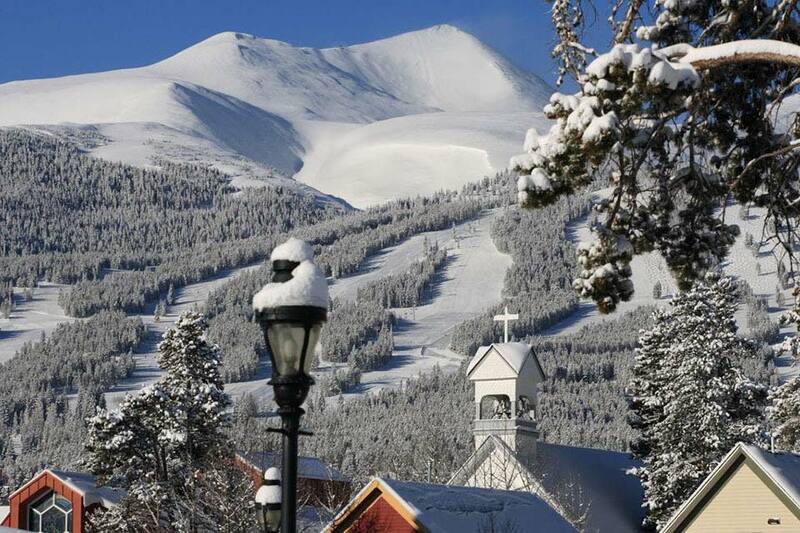 Breckenridge averages 25ft of snow and 300 days of clear blue skies per year. If you’re a new visitor to Breckenridge, you’ll be thrilled with the myriad of options available to you, whether you are looking for family friendly options, plush accommodations, skiing and riding, or just casual laid back culture and atmosphere that Breckenridge, Colorado is known for! Breckenridge is nestled amongst Colorado's famous "fouteeners", with 3 of the 14,000ft + mountains visible from Breckenridge: Quadary, Grays Peak and Torreys Peak. They offer a spectacular site, and when you to the top of the Imperial Lift, many more can be seen off into the distance. These fabulously huge mountains create their own weather, increasing the chances of fresh snow from both the north and west. Thanks to the sheer size of Brekenridge and the wonderful snow conditions, it's a perfect combination for skiers of all terrain abilities to ride and progress thier skills.